With the recent facelift, the Holden Colorado is well-equipped and capable ute worth considering. It can tow big loads well and powerful Duramax diesel engine will also return good efficiency. The truck also comes with the modern connectivity and tech features and the interior also offers good and high-quality materials. A number of body styles and trim options also guarantee you will find what you like and the off-road ready gear is also at the disposal. The 2019 Holden Colorado is the next variant of this worth-to-have ute but there won’t be major upgrades for the upcoming model year. Expect some tech features upgraded and new cosmetic and equipment options to appear while more substantial upgrades will come in a year or two. 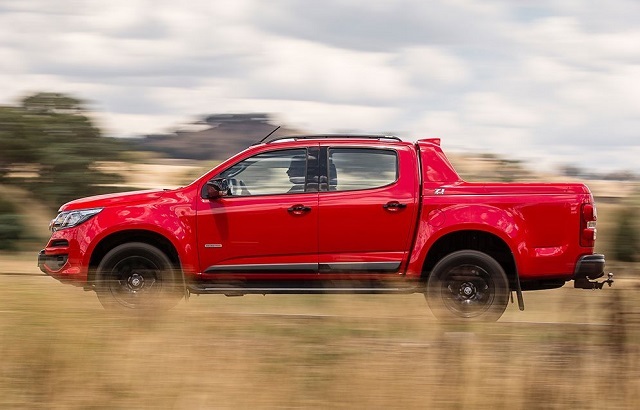 The Holden Colorado is a good-looking truck and its styling balances between rugged and elegant. The split-design grille with the Holden logo in the middle fits nicely with the modern-looking headlights. Supple creases on the hood and side panels also add some of the sports flavor and Holden will offer different variations of the styling elements. The darkly finished grille and fender protection will appear on some models while some versions will get shiny grille and exterior pieces. 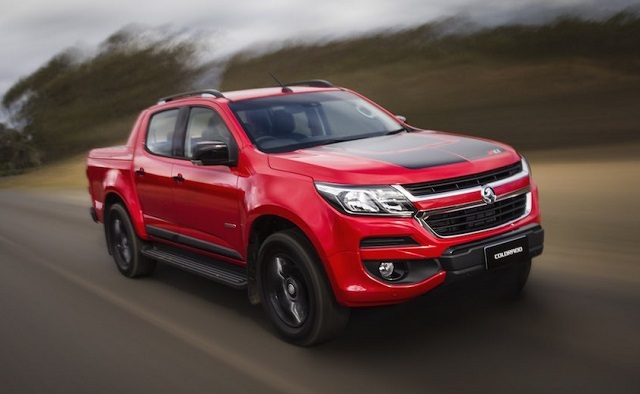 The 2019 Holden Colorado won’t change much on the exterior and should expect new color combinations, wheel options and possibly a new special edition version. Inside the cabin, the Holden Colorado has well-organized controls and nice materials in every version. Upper grades bring more refinement and the model will also arrive with modern connectivity tech and some active safety equipment. The model will have modern and responsive infotainment system with Apple Car Play and Android Auto features in every version. The base models will start with the 7-inch touchscreen and if you spend more a larger 8-inch screen and navigation will appear in the upper grades. The model will also offer aesthetics extra, leather upholstery, heating features, premium sound system and more. There will also be the safety equipment like the rear-view camera, rear parking sensors, but also forward collision warning and lane departure. When it comes how to get the job done, the 2019 Holden Colorado will again rely on the smooth and efficient Duramax turbodiesel engine. There are talks that new V-6 option could appear but no confirmation about that from the company. The 2.8-liter Duramax four-cylinder turbodiesel provides 147 kW and 500 Nm of torque. The engine operates smoothly and efficiently and the truck follows the class leaders with the maximum towing of 3, 500 kg. The engine is also very quiet and the model has a good behavior on the road and precise steering. The two and four-wheel drive options are available and buyers can also upgrade with the off-road ready gear. The 2019 Holden Colorado will hit the market later in the year. There won’t be significant changes in the price range.